Charles, I can see why our wives married us. My mirror makes me wonder these days! I think that this is the first time I am writing a tribute on my blog to someone who is still alive. I am doing so for two reasons. Firstly, Charles Bota’s birthday party is one that I should never have missed if I had the gift of prophecy. I am away on a preaching trip. Secondly, this is a friendship that has lasted almost as long as I have been a Christian. Outside the circle of my friends who are fellow pastors, my friendship with Charles is perhaps the closest and has been that way consistently for some thirty odd years. My memory of our friendship, Charles, goes back to our student days in the early 1980s. I was studying at the University of Zambia while you were studying at Evelyn Hone College. I admired your musical talent and cherished every opportunity to hear you sing, while playing the guitar. When your first music tape came out in the early 1980s I quickly bought my copy and played it again and again and again. To me, Prodigal Son is still the best piece of music ever written. I still play it repeatedly on my iPod. When I came to take up the pastorate at Kabwata Baptist Church (KBC) in the second half of the 1980s, I often wondered who among my friends in Lusaka would ever leave the comforts of Lusaka Baptist Church (LBC) to come and help me. I determined not to ask any, lest it looked as if I was poaching people from across the hill. I was thoroughly touched when I heard that you had announced at LBC that you were moving to KBC. 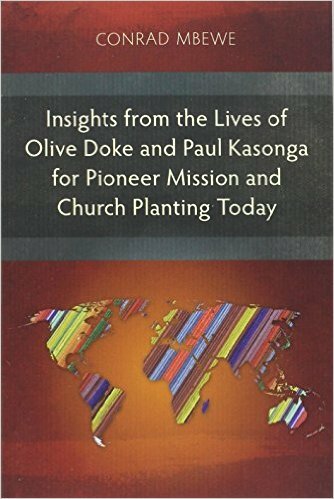 In the early years of my pastorate, I always thought God had plans for the two of us to be the Zambian equivalent of Dwight L Moody and Ira Sankey—or Billy Graham and Cliff Barrows! Whereas I did not think I had the preaching gifts of Moody or Graham, I knew that you would easily stand shoulder-to-shoulder with Sankey or Barrows. Hence, our Christmas evangelistic tour across Lusaka in the late 1980s was a small fulfilment of that longing. However, I soon discovered that my calling was to the pastoral ministry and not to crusade evangelism. And so the dream was nipped in the bud. One characteristic I remember about you in those early days of your working life was your friendliness especially with young people. Even after you got married to Mavis, it took a long time for them to see you as “Mr Bota”, i.e. as someone with whom they must now keep some safe distance. It was always “brother Charles” whenever they needed something—money, transport, essential commodities, etc. I am not sure how Mavis managed in the midst of all this, but I can well imagine that it was not easy since she is more of a private person. Well, that was then. Now that you are the deputy general manager of the largest chain store in the country, we all feel the distance. Hahaha! There were two periods when your friendship rescued me from sinking in my pastorate. The first was in the late 1980s and early 1990s when we had serious shortages of essential commodities in Zambia and you were working for NIEC Stores. I have never forgotten how you would call to ask if there was anything we needed—salt, sugar, cooking oil, mealie meal, etc.—and then you would ensure that these were delivered to our doorstep. This certainly ensured that my wife and I did not spend whole days on long and winding queues outside shops waiting for these essential supplies. 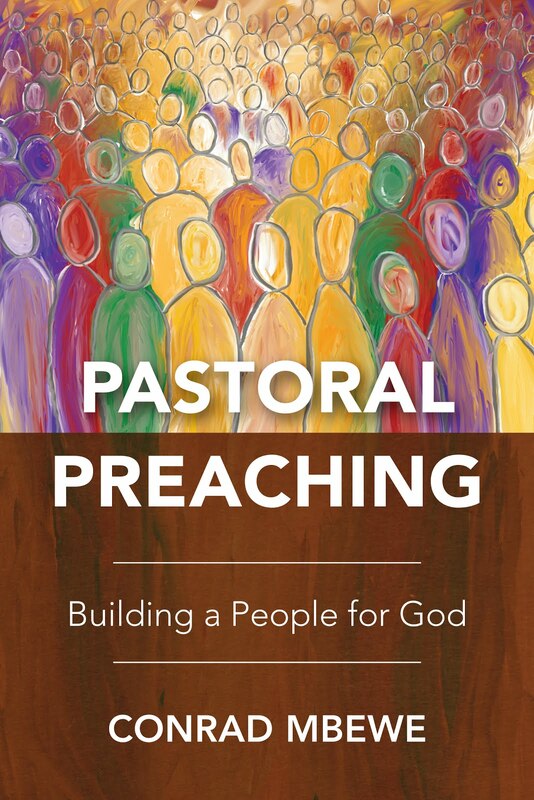 It meant that I could concentrate on pastoring and preaching. Felistas certainly appreciated this help because it meant that her much-needed household supplies were always at hand. What more can a wife ask for from a husband’s friend? 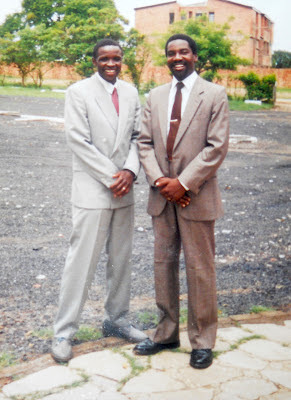 The second was in 2003 when the KBC eldership got stuck in mud and I was ready to quit the pastorate altogether. There were things I could not even tell my wife because I needed her to maintain relations with my fellow elders and their wives, but I needed an outlet for my emotions lest I go mad. You came in at just the right time. I particularly recall the outing when you took me for dinner and I cried like a baby. I knew I could be vulnerable in your presence. I dared not do so with my wife or I would have really spoilt her relationship with the other elders. That remains etched in my memory. Thanks a lot. Well, now you are in the eldership at KBC. I have never forgotten being told that when you bade farewell at LBC, you jokingly said something like, “I am leaving for KBC because at LBC I do not think I can ever even be chosen as a deacon, let alone an elder.” Well, you have certainly waited patiently and in 2008—almost twenty years later—you finally made it. I think that you can compete favourably with vultures in patience. Order: I thought that I was the most organised guy around until you came along. I have since noticed that you have a place for everything and everything in its place. All the work that we throw onto your plate soon finds its place in your labyrinth of activities and never falls through the cracks. Hence, our eldership continues to be very organised. Efficiency: When I need something done “yesterday” I know exactly who to ask in the KBC eldership. In fact, sometimes you are like God. I mean, you seem to answer just before I ask! I recall once or twice when I have blown the offside whistle and, thankfully, you have gracefully taken a few steps backwards so that I still think that I am leading. Care: In our oversight work, i.e. door-to-door visitation among the flock, you are light-years ahead of all of us. When there is an illness or a funeral or a newly born baby, I know that if I do not get there quickly I will hear that you have already been there. 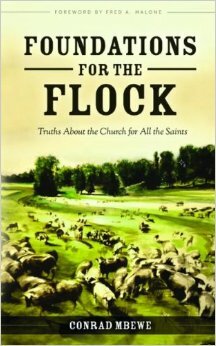 You take time to pray for and to pray with both the strong and the weak among God’s flock. Well, brother, I can go on and on, but that will not do your ego much good. So I must end here. All I can say for now is, “Welcome to the fifties, Charles!” Half a century on God’s planet is no mean achievement—especially in urbanised Africa. Too many of our friends, especially those without Christ, have already kicked the bucket. So, this is a time to thank God for his saving and sustaining grace. And now a word to the two most important human beings in your life—your wife and your son: Mavis, many thanks for being the companion you have been to Charles. What a gift you are! Taonga, if there is one birthday present you can give to your dad, it is your yielding your heart to Jesus that Christ may be your Saviour and Lord. Amen! Congrats to ba Charlie B for clocking 50! Loved the photo - too cool for school I think. Allow me also to pay my tribute to a man of God. There are individuals whom the Lord graciously allows to pass through one's life. The physical encounter may be brief in the scheme of things. But the impact they leave is lifelong and unto eternity, even. Charles Bota is one such gold nugget the Lord graciously brought into my life at an opportune time. I recall when we were young men at LBC in the early 80s - the laughter, the deep spirituality, the humility and of course the gift of composing and singing deep spiritual songs - I still sing to the "How I wish I could go back..." and get challenged every time to work out my salvation with much fear and trembling, lest I miss out when I arrive "...outside the eastern gate." I will also be forever grateful for taking time to come and sing at my wedding in Kitwe in 1990. I cherish the memories. May God bless you as you celebrate your big Five-0 and beyond. Happy birthday my brother.